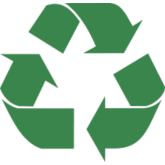 Nova Communications and our team recognize we have a corporate and individual responsibility to the environment. We will behave responsibly and constantly seek out opportunities to reduce our environmental footprint. Our goal is to continuously reduce our environmental impact and be a leader in our local industry. Nova Communications prides itself on being environmentally responsible, conducting business in an ethical fashion and actively contributing to better our communities across Canada. According to the US Environmental Protection Agency, each person generates 2.92 lbs of landfill waste each day. 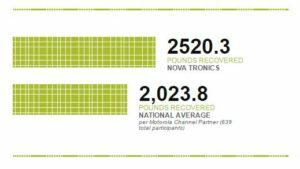 Each year, instead of adding more to landfills across North America, Nova Communications has made an effort to recover and recycle unusable two way radios when they are traded in to our business. 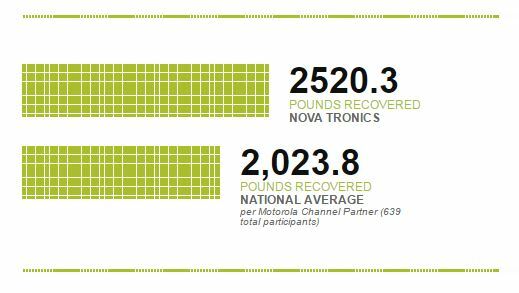 In 2016, we were 500 pounds more than the national average for recycling, totaling 2,520.3 pounds recovered (that’s the equivalent of not adding waste to a landfill for 863 days or 123 weeks! This is a program our team at Nova Communications is proud to take part in – making a difference for the environment one radio at a time. If you have any questions about our environmental initiatives, please contact us.